Cruise holidays to Northern Europe can range from mini-cruises, such as the Christmas markets cruises, to longer itineraries that take in the Baltic or a Norwegian cruise. You can cruise to some of Europe's most fascinating cities, with their cobbled streets and markets, enjoying a huge variety of architecture and, of course, there is Germany's Kiel canal to experience. Cruises to Northern Europe offer both no-fly cruises from Southampton and Dover, or fly cruises from Amsterdam and Copenhagen. From short breaks to week long itineraries, there is a Northern Europe cruise to suit your needs. In the summer you can enjoy the lush green surrounding of the Kiel Canal, the vibrant cafe culture of Amsterdam and charming cobbled streets and Trappist beers of Bruges. In the winter their are fabulous Christmas markets offering all variety of boutique shopping, hand-made crafts and warming glühwein to enjoy. Cruising to Northern Europe is more about relaxing while enjoying the local culture, museums and delicacies than the faster paced Med and Caribbean cruises. 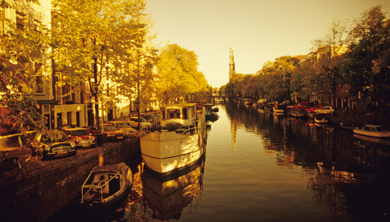 Cruises to Holland are a fantastic way of visiting the wonderful cities of Amsterdam and Rotterdam. The country may be known for its clogs, tulips and canals, but it also offers one of Europe's most cultured cities in Amsterdam. From the maritime museum and Anne Franks house, to the diamond factory tours and charming cobbled streets, you'll want to go back as you'll struggle to make the most of the city in a day! A Northern Europe cruise to Germany gives you the opportunity to visit Hamburg, the seventh largest city and the third largest port in Europe, and the historic Kiel Canal. The Kiel Canal is a man made canal running from Brunsbüttel to Kiel-Holtenau and almost 100km in length, and the journey saves around 250 nautical miles as you don't have to sail around the Jutland Peninsula. Hamburg is one of Germany's most popular and fastest growing tourist destination and boasts an array of museums, parks and places of interest. Cruise to Bruges take you to one of Europe's most charming cities. The romantic, cobbled streets, boutique shopping and vast selection of famous Trappist beers all add the atmosphere and relaxing pace of the city. In the summer you can relax along the canal side in the serene surroundings and in winter the hustle and bustle of the markets makes for a fascinating visit.